The workshop will focus on future prospects of high intensity accelerators, and new frontiers of particle and nuclear physics explored by the high intensity experiments. 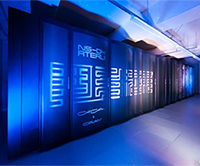 At J-PARC, various flavor and hadron physics experiments have been completed or are currently ongoing with fruitful physics results, and new experiments are also planned or under construction. Furthermore, future upgrades of the J-PARC accelerator and beamline toward Multi-MW beam power are under discussion. At KEK, SuperKEKB has succeeded in the first commissioning in this year, and Belle II experiment, currently in the middle of its construction stage, is expected to start the physics run in the coming years. Sharing knowledge and exchanging ideas among theorists and experimentalists are crucial for the success of these projects. HINT is the workshop series starting in October 2015 at J-PARC (http://j-parc.jp/pn/HINT2015/). In this year, it is a joint workshop with the KEK Flavor Factory (KEK-FF) workshop. Participants are invited to present posters in fields of research related to the conference topics. Instructions for poster submission will be available later on the workshop website. Since space is limited, poster proposals will be submitted to a selection committee before acceptance. The organizers particularly encourage younger participants to play an active role in the workshop by presenting their work in the poster session. Deadline for the abstract submission is announced soon.